May 21, 2018 This post may contain affiliate links, which means that at no extra cost to you if you buy from one of the product links, I’ll earn a small commission which helps this site run. See full disclosure here. The last time I visited Arizona, my dad told my brothers and I to get in the car because we were “going for a drive”. It wasn’t until we were half way there that he told us we were going to the Grand Canyon. Why did he spontaneously pack us up in the car to visit the Grand Canyon? I have no idea. But it created one of our favorite family stories. I have been studying online at Arizona State University for the last two years and last week I road tripped to Arizona to walk the stage and graduate! It still doesn’t feel real that I’m a college graduate. But it made for a great reason to travel and it was fun to see the college I graduated from! 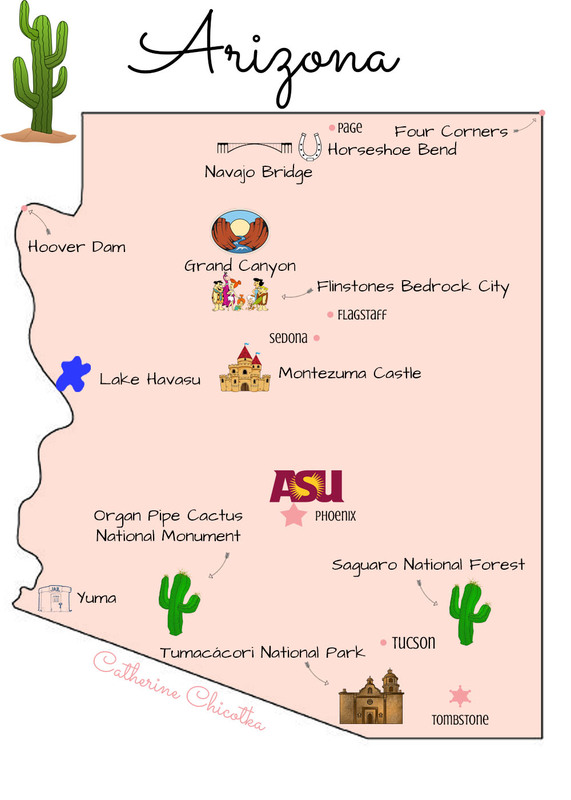 I love road trips, but I also knew there were a lot of different places I wanted to see in Arizona. As it’s become easier to share beautiful images on the internet, I’ve seen some absolutely breathtaking pictures of places in Arizona. 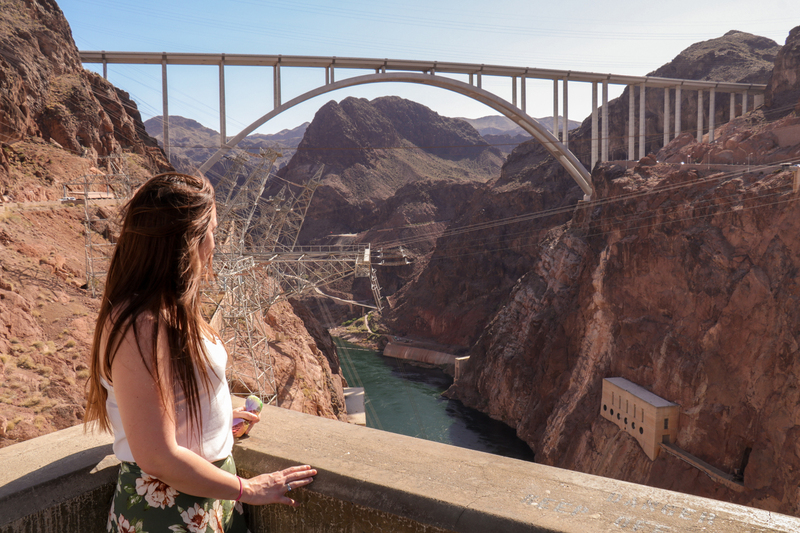 That’s why I decided to road trip around Arizona; I wanted to be able to see as much of the beautiful state as I could. I didn’t realize that everywhere I looked, I would find breathtaking sights and incredible views. 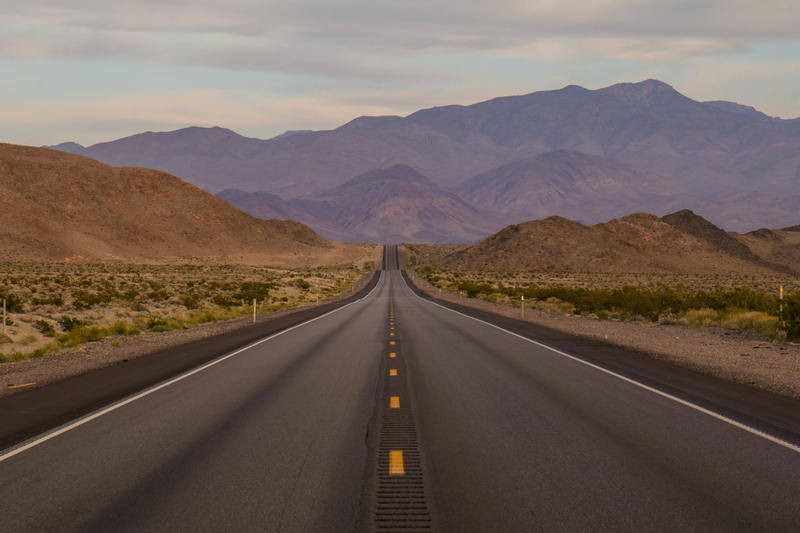 Seriously, I would drive around a bend in the middle of nowhere and be greeted with a big beautiful open valley and gorgeous cliffs in the background. 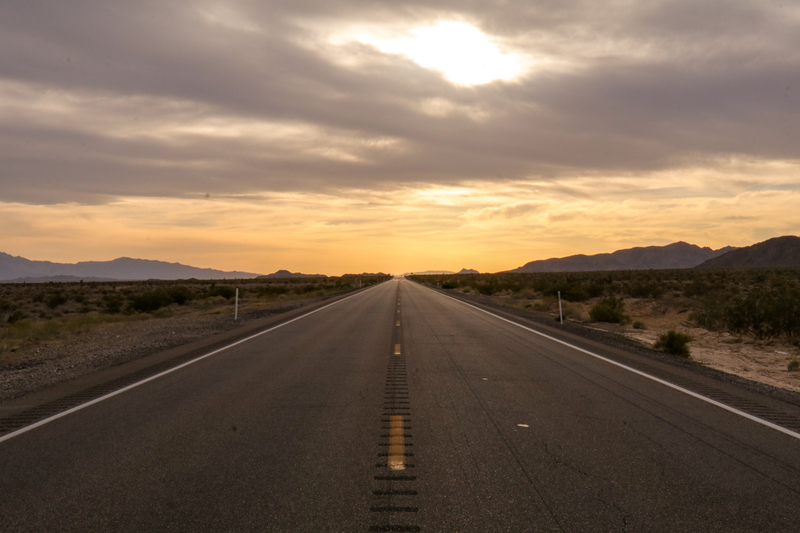 Even being on the highway in the middle of nowhere, with nothing but the road straight ahead of you, made for some incredibly scenic views. I came into Arizona through St. George, Utah. I had all these great ambitious plans to hike in Zion National Park and other places throughout Arizona, but it was way too hot for me to want to hike. 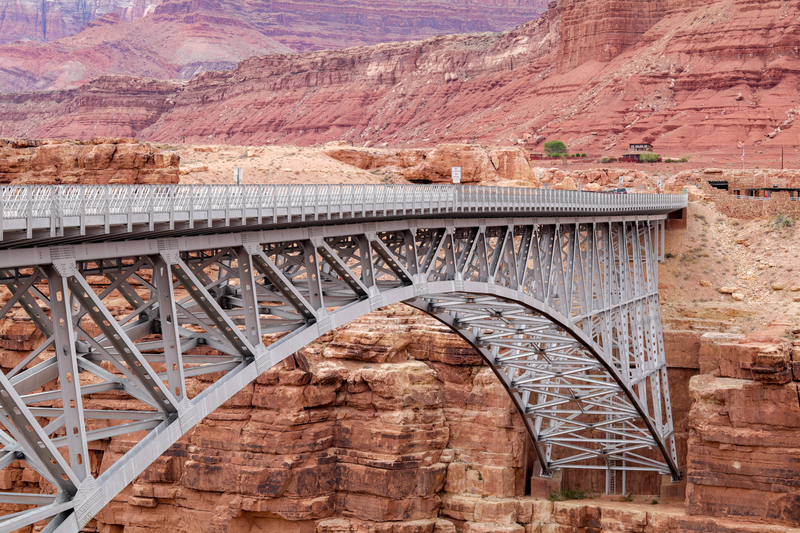 So I came down into Arizona from St. George, taking Highway 89A through Marble Canyon. This gave me a great route to cover as much of Arizona as possible. 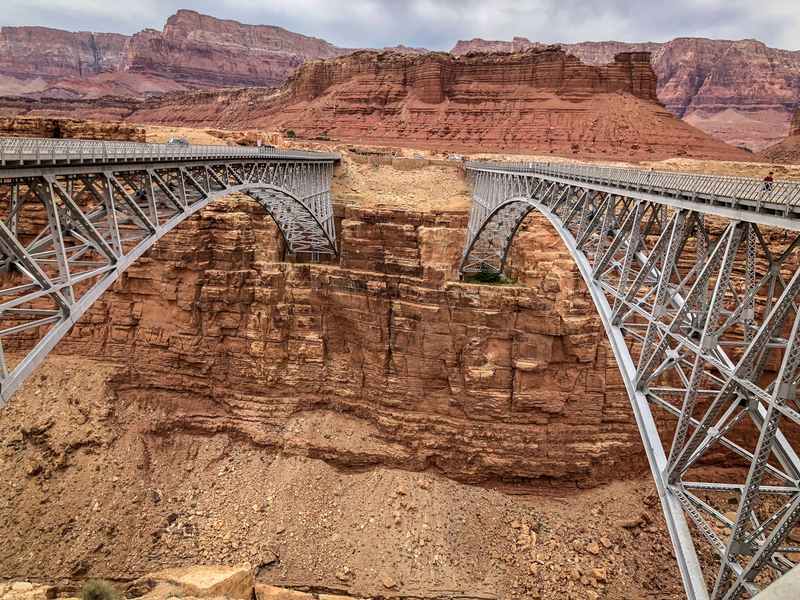 I stopped to admire the beauty of Navajo Bridge, the old and the new bridge. The original bridge opened in 1929 (on the right) is open to pedestrian traffic only after the new bridge was constructed in 1995. The historic bridge was only 18 feet wide with awkward turns to and from the bridge. As vehicles got bigger and wider, it became more dangerous for automobile traffic. The new bridge was built identical in structure to the historic bridge, except it’s wider and up to modern safety codes. 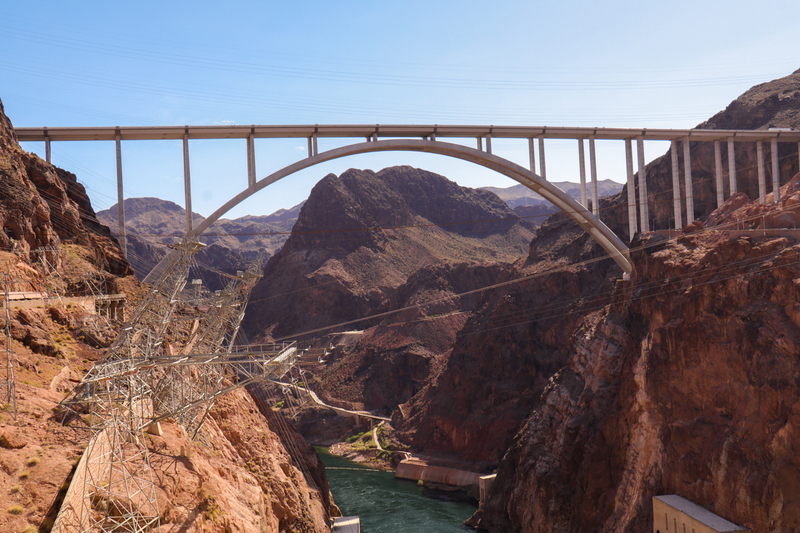 There are breathtaking views of the Colorado River from the pedestrian bridge. 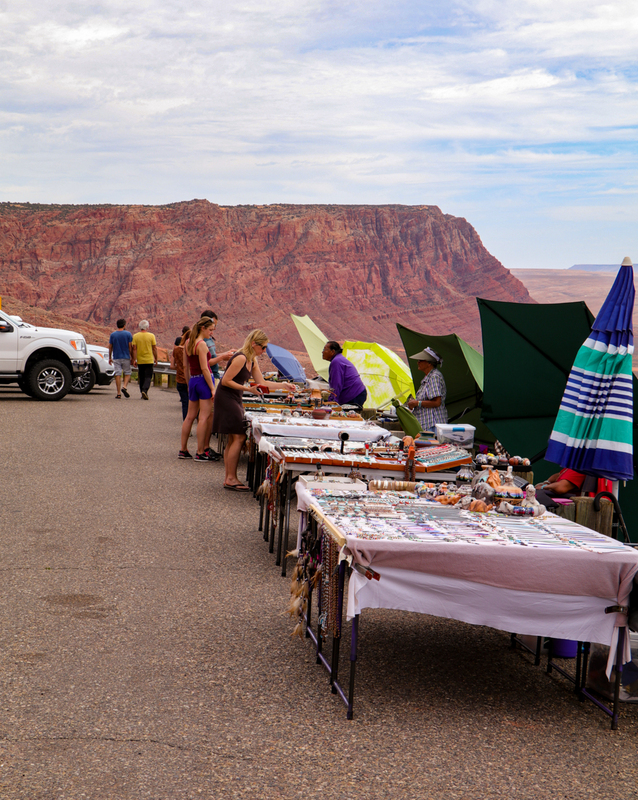 In the parking lot at Navajo Bridge, and along the road to Page, there were several different spots with vendors selling unique, handmade goods. I saw a variety of jewelry, figurines, dreamcatchers, and ornaments. 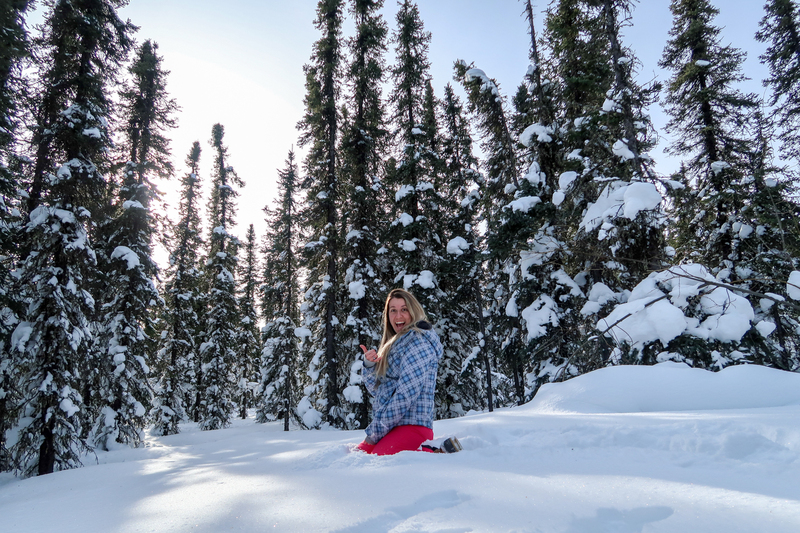 Another beautiful spot to explore in Marble Canyon is The Wave. It is a geologic formation that makes for a beautiful hike and place to take pictures. But they only allow 20 people to visit per day, so permits are required. For permit information, head to The Wave website here. 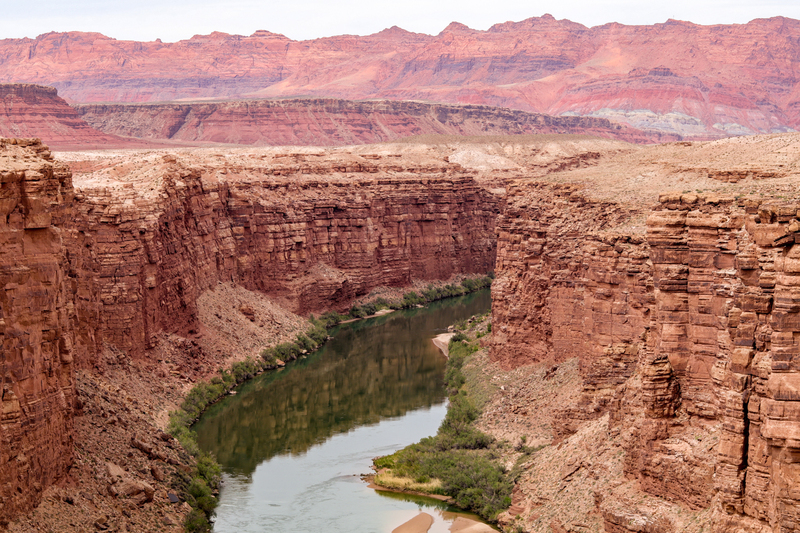 From Marble Canyon, I went up to Page for the night. It wasn’t backtracking too far, and Horseshoe Bend was definitely worth the stop. 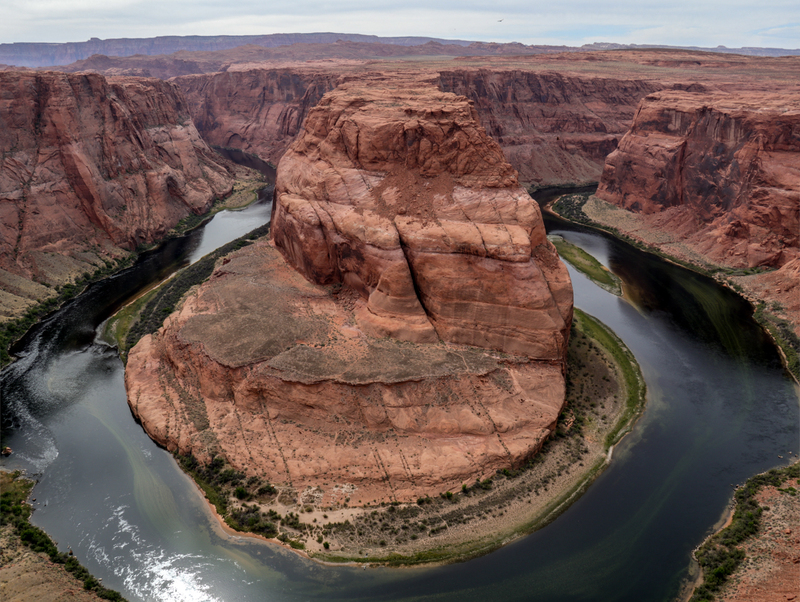 Unfortunately, while I was at Horseshoe Bend, a man slipped and fell over the cliff and down to his death. I heard that some rock at the edge of the cliff crumbled under his feet, so please be cautious when you visit! Definitely try to go for a sunrise or sunset! Another stop in Page that I didn’t get to do (because I didn’t plan ahead of time and book a tour) is visit Antelope Canyon. 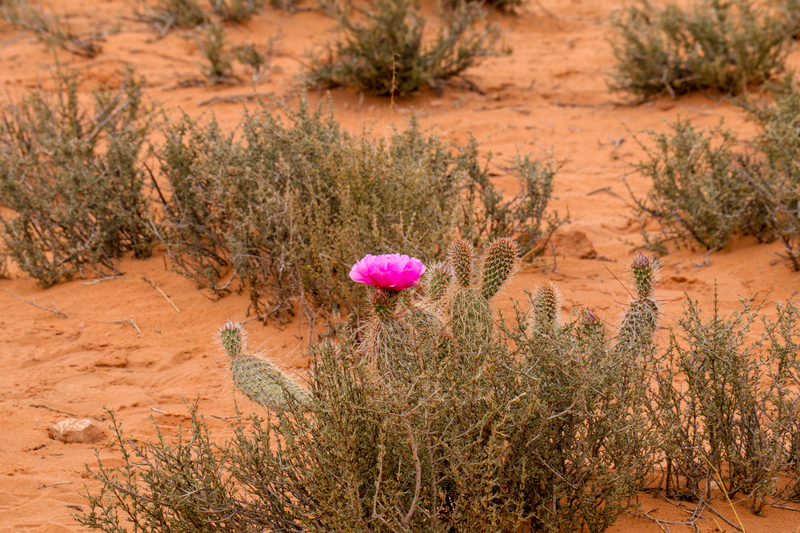 Because it’s on Navajo land, you must go with a tour guide. There are several different companies that offer tours. But this is one of the most photographed places, with beautiful canyon walls. Or if it’s warm or you’re more interested in water sports, you can take a Paddleboard or Boat tour from the other side of Antelope Canyon through Lake Powell Paddleboards. I stayed at the Marriott in Page and the view from my room was incredible. I had a view facing the Vermillion Cliffs. 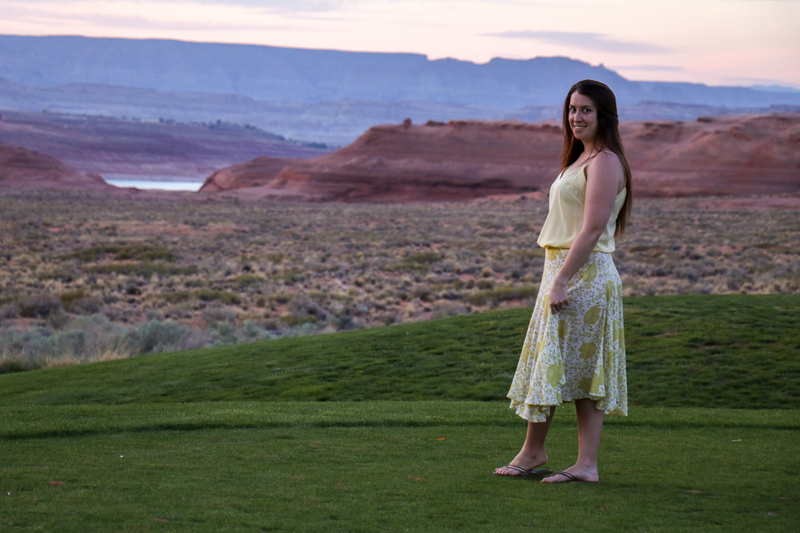 The sunset on the cliffs was so beautiful, I went out to the golf course to watch. Page is a small town, so I hung out at the hotel for the night and enjoyed the pool/hot tub. I stopped in Flagstaff for lunch on my way to Phoenix. 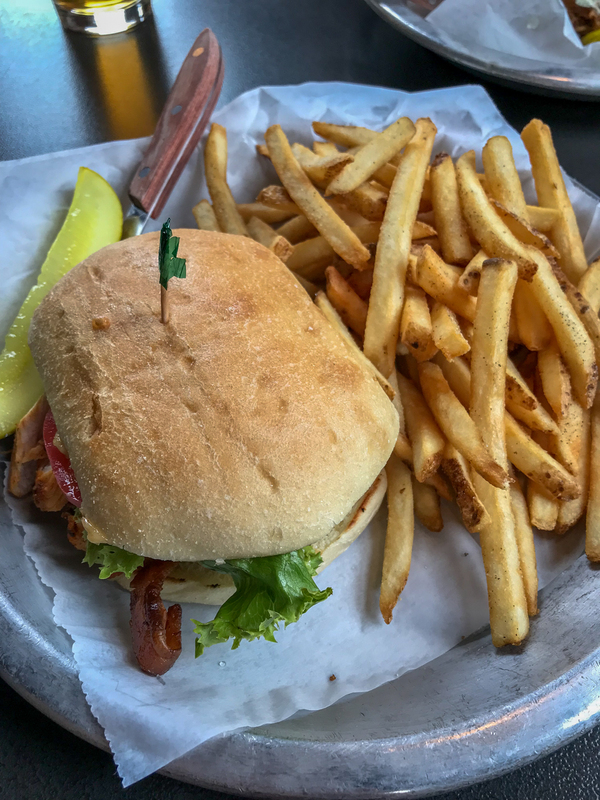 I ate lunch at Lumberyard Brewing Co. and I highly recommend stopping here if you’re in the area. The Tombstone Chicken was delicious, and my Kiss of Strawberry Blonde beer tasted like dessert. Have a look at their hilarious list of shots! I spent a few days relaxing in Phoenix, it was pretty hot and the A/C in the car stopped working. I explored the Arizona State University campus and went back to buy a few items from the bookstore. Then I did a lot of eating, I think I became a bit of a breakfast/brunch snob on this road trip. After my graduation, we went out to dinner at EVO. It’s a fine Italian restaurant, with delicious food and a romantic setting. It’s not on the menu, but order bread with vinegar and oil, it’s amazing. They drizzle the vinegar and oil onto toasted bread, and it’s seriously the most delicious bread I’ve had at an Italian restaurant. I had the Chicken Picatta and it was fantastic. 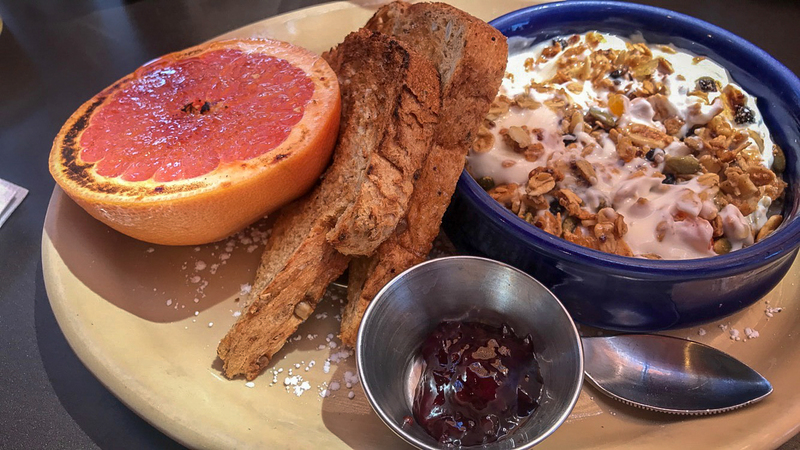 For breakfast (more like brunch), I went to Butters Pancakes & Café and Snooze an A.M. Eatery. Both places are in Scottsdale, and both breakfasts were delicious. Snooze has a trendy vibe, great food, and an impressive list of mimosas! The picture below is of my breakfast at Snooze! 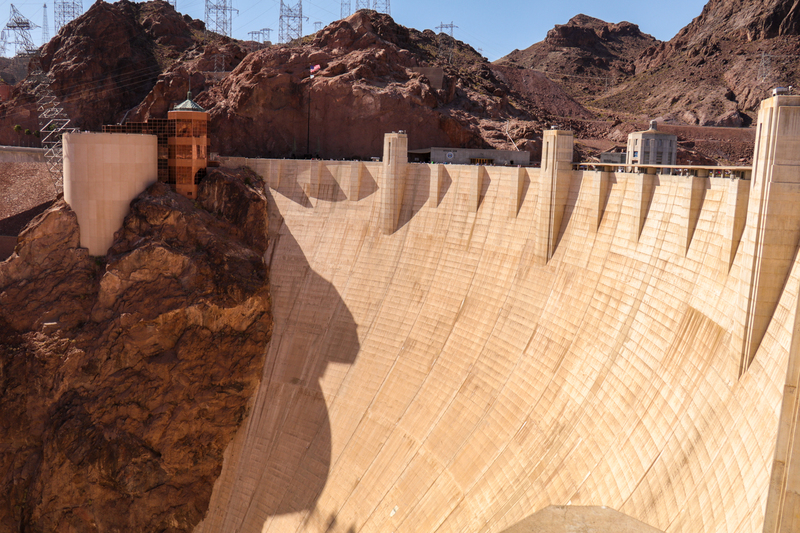 On my way home, I stopped at the Hoover Dam that’s on the border between Arizona and Nevada. It was a beautiful, warm day, and it was a dam good view. Sorry, I had to. 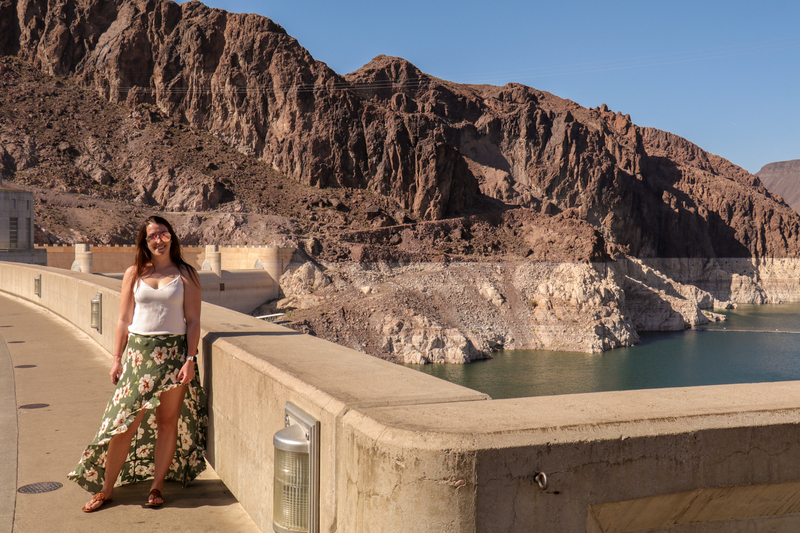 But it was also pretty windy there; so windy that my skirt flew up right in front of the Hoover Dam Police… so I mooned them on accident. Where’s my face palm emoji.. 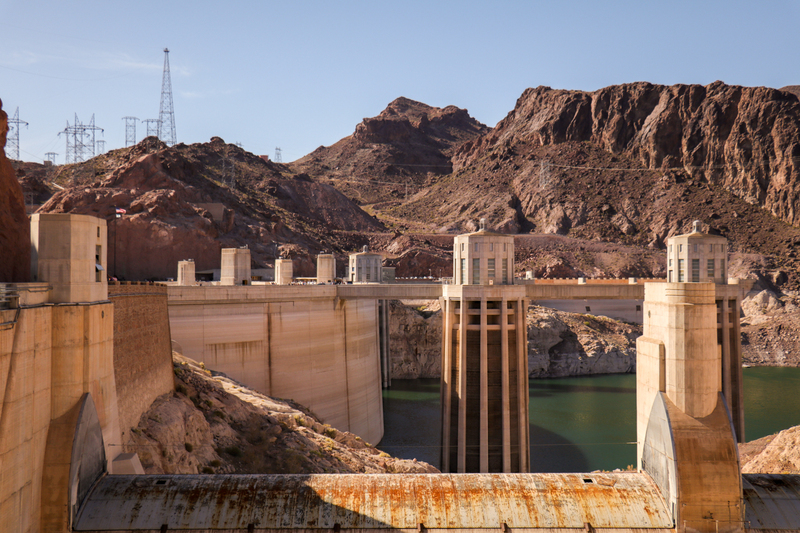 There are several different tours you can take of the Hoover Dam, but I got a late start and didn’t make it before the tours closed. 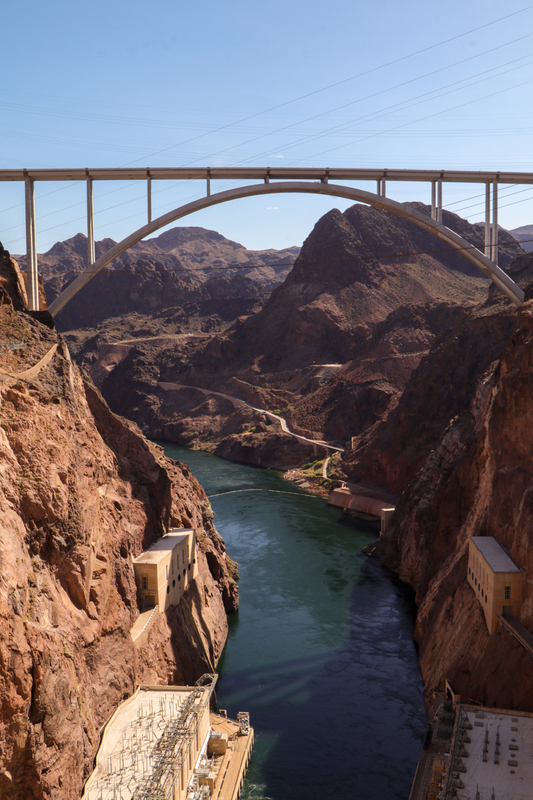 Check the Hoover Dam website here for up to date information on tour information and closures. I’ve heard the tours are really interesting, but it’s definitely worth a visit even if you don’t take a tour! There is some free parking that’s a little farther of a walk, but it was way too hot when I went so I paid $10 to park right at the side of the dam. Then I headed home as a college graduate. I was blessed with beautiful sunsets on my way out of Arizona. I definitely think that road tripping was the perfect way to see Arizona. There are so many beautiful places to spontaneously stop at as you go from one spectacular location to another. When I think of Arizona, I think of the Grand Canyon, cacti, and lots of sun. While these were prominent features on my road trip last week, they do not even come close to the beauty that can be found in every direction. The sunsets just seemed way prettier in Arizona. Road tripping through Arizona was one of the best decisions I’ve ever made, as I got to see so much more of the beauty. Absolutely loved this post! Arizona is my favorite state so far. Haha there are definitely some great memories from that trip! And you should definitely go to Arizona, it’s so beautiful! I don’t think the pictures even do it justice!